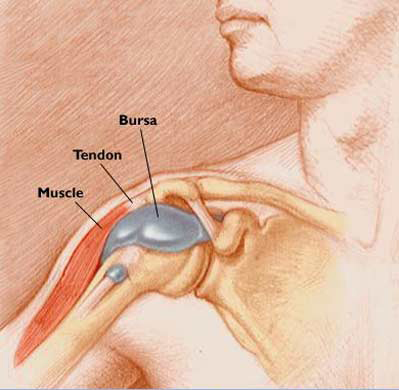 Tendonitis (also spelled Tendinitis)is a common sports injury that often occurs from overuse. Tendinitis can cause deep, nagging pain that is caused by inflammation of tendons. Tendons are tough, fibrous tissue throughout the body that connect muscles to bones. For a variety of reasons (the stress of repeated motion, a traumatic injury or biomechanic issues) a tendon may becoming irritated or inflamed. When this happens the smooth motion of tendons becomes painful. This irritation is called tendinitis (inflammation of the tendon). The most common cause of tendinitis is, also called overuse syndrome chronic repetitive stress and strain injury. Overuse injuries are the result of repetitive use, stress and trauma to the soft tissues of the body (muscles, tendons, bones and joints) without proper time for healing. They are sometimes called cumulative trauma, or repetitive stress injuries. They are common injuries of new exercisers who do too much, too soon without enough rest. Repeated overuse will cause an inflammation and tendinitis. It’s important to start slow and increase your training time and intensity over time. Following the Ten Percent Rule is helpful in avoiding overuse injuries. Sometimes there is a biomechanical reason that someone will develop tendinitis. When this happens an orthopedic surgeon may recommend surgery to realign or smooth the area the tendon slides over. Treating tendinitis generally begins with the same treatment used for overuse injuries. This includes resting the stressed tissues. Reducing the intensity, duration or frequency of the exercise will sometimes be all the treatment required for fast relief. Icing the injury can also help reduce inflammation and pain. For more serious overuse injuries, physical therapy, over the counter pain medications, and complete rest may be necessary. To prevent the return of tendinitis overuse injuries, athletes should maintain a training schedule that includes varied intensity and duration as well as type of activity.